Marta Vieira da Silva (born February 19, 1986 in Dois Riachos, Alagoas), commonly known as Marta, is a Brazilian female football forward who plays for theWestern New York Flash of Women's Professional Soccer. 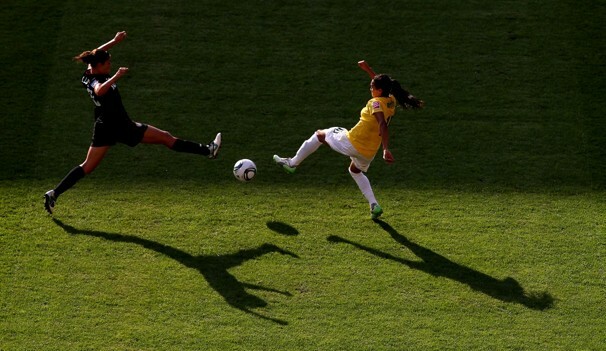 She is also a member of the Brazil women's national football team. Carli Anne Lloyd (born July 16, 1982 in Delran, New Jersey) is an American soccermidfielder currently playing for the Atlanta Beat of Women's Professional Soccer and is a member of the United States women's national soccer team.